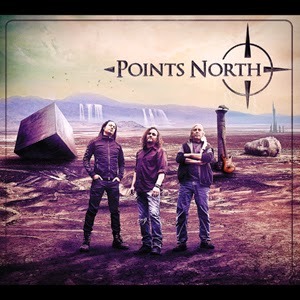 “Points North” is the self-titled, second album by this primarily instrumental rock band. 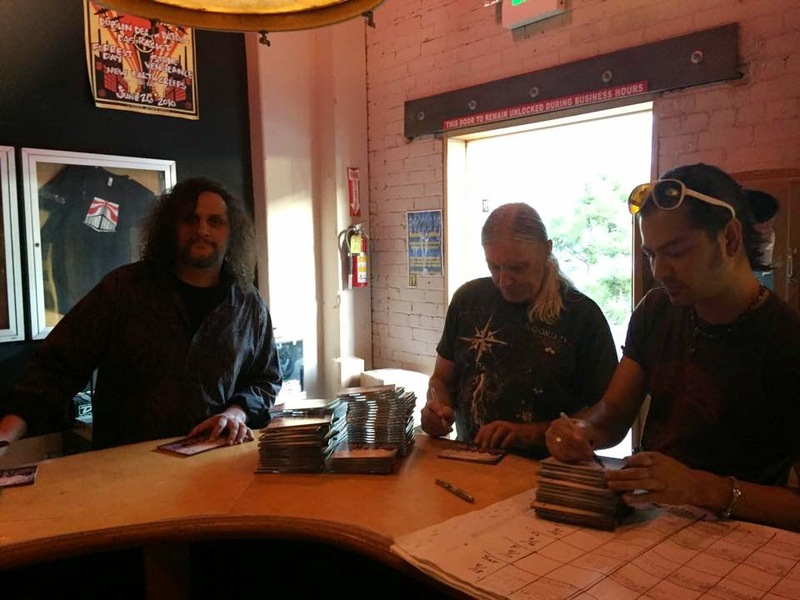 Eric will be shipping these back to us, so we can send them out to all the people who pre-ordered as soon as they arrive back here at Magna Carta. 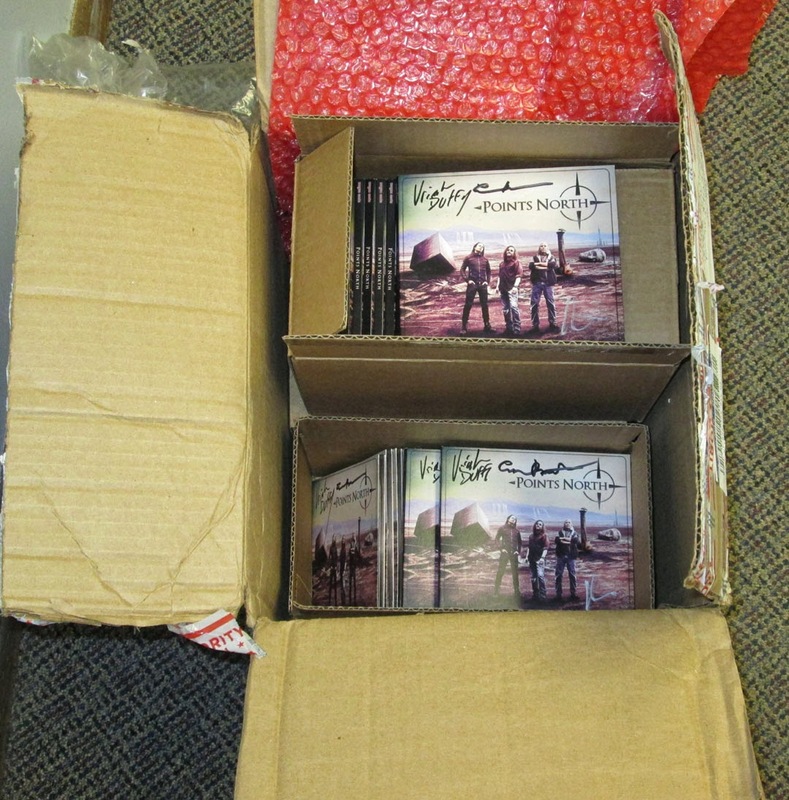 The box of signed CDs just arrived from Points North. They look really nice. They are shipping Today by First Class Mail. The band signed them last Thursday at rehearsal, and Eric mailed them back to us. The box arrived here late Yesterday. It was like Christmas opening up the big box!